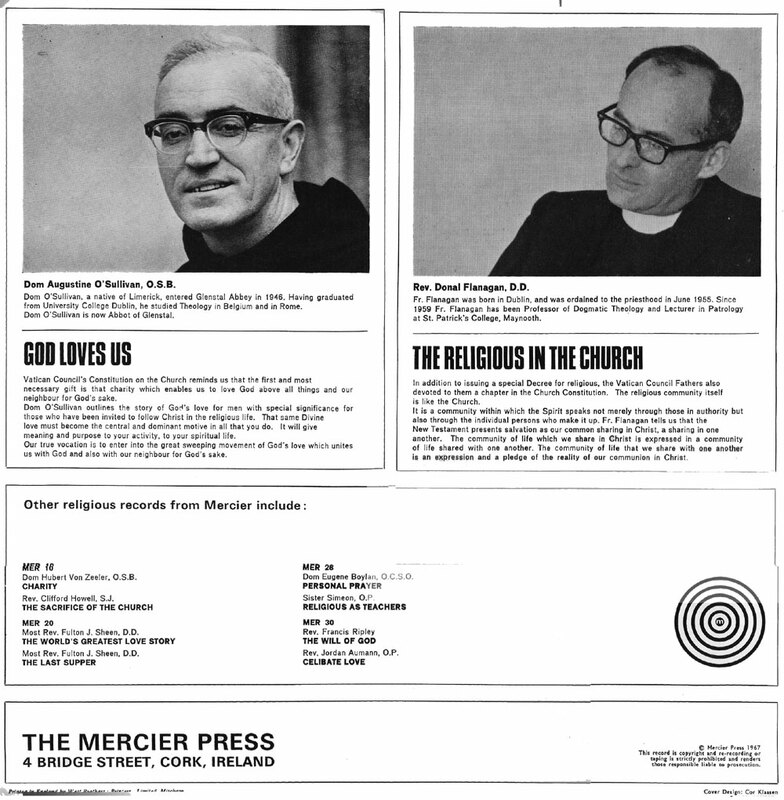 These fantastic LP covers belong to a range of religious records issued from the Mercier Press in Cork. All covers by Cor Klaasen, except the last one below (John Skelton). I was very happy to find a dozen of these in a Dublin charity shop recently. Competition: The first person who posts the correct answer to question below via the reply/comment on this post will win a copy of the featured Lightening our Burden album. Q. in 1979 who wrote and sang the song ‘The Idea’ which contained the following lyrics? Beautiful covers too, great find! Which shop did you find them in do you mind me asking? Yes, Adam Ant is it. The Idea from Dirk wears White Sox. I’ll email you Emmet so that I can get album to you. Congratulations! Shop is on Aungier St. Not one of the charity big ones (oxfam, SVP) I dont know what it is called . 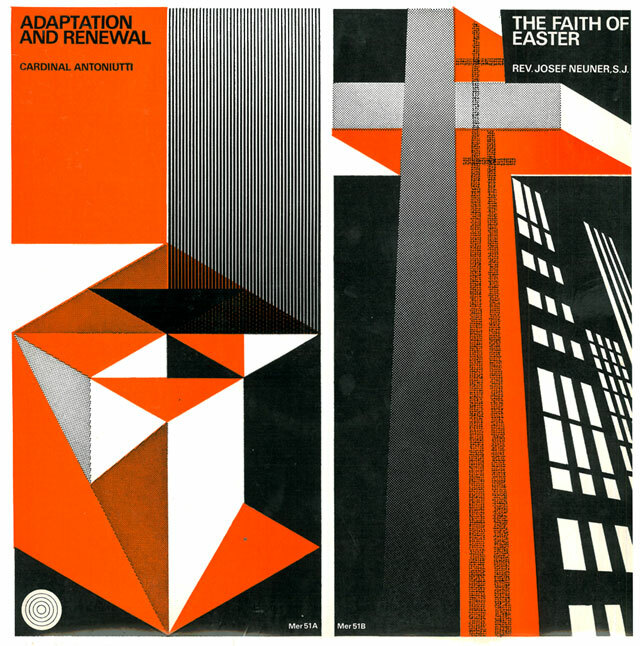 they had a batch from this Religious series and I bought any that had cover designs. Thank you for posting pictures of Cor Klaasens work (he is my father) great to see his designs again. Thank you Lotte. I’m delighted you stopped by and posted this comment. Your father’s work is amazing. Was lucky enough to have Cor Klaasen as my tutor on a short (10 classes – possibly Adult Ed: can’t remember) introductory graphic design course in ‘86. He showed us techniques; we tried to copy what he showed us. The piece (a cover for an imaginary book for children) I still have reminds me of the 1967 cover. Black, white and one primary colour and bob’s your uncle as they say in the arts supplements.